Message (If you have an item of sports memorabilia for sale, please let us know the value of the item). PLEASE MAKE SURE YOU ADD AN EMAIL ADDRESS !! and we can only reply to those messages we are interested in. in case we have already answered your enquiry. a chosen few good causes & charitable campaigns. daily requests for sporting donations & gifts. Who are we ?? What do we do?? And Why ?? 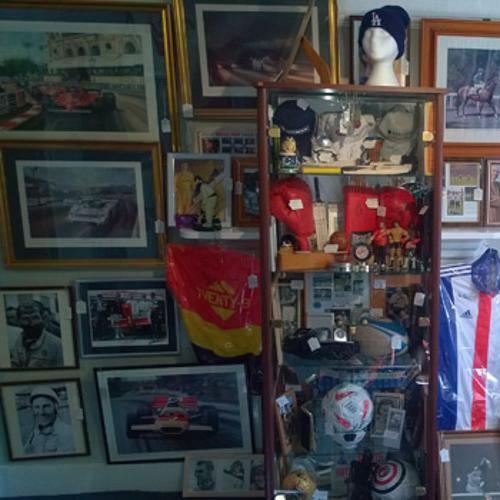 An eclectic and esoteric collection of rare and unique signed sporting memorabilia & collectables across all major sports with an emphasis on Cricket, Soccer, Rugby, Motorsport, Boxing, Athletics, Olympics and US Sports (esp Baseball & American Football). Also look out for our "Uniquely Sporting" video show... with the latest updates on our newest items, celebrity features and top tips from the trade. Our library of sporting books & autobiographies,many signed in person and sports movie DVDs + a selection of celebrity autographed media. This library is run in conjunction with our publishing arm: Blue Eyed Books. A quirky collection of fun-packed vintage & retro table top games from Chess & Checkers, Subbuteo to Superstars, Card Games to Jigsaws to sports personality endorsed gaming products. For daily updates and sports memorabilia related trivia and items of interest. Visit our ETSY store for retro, vintage & antique sports memorabilia dating before 1990. Complementing our main Memorabilia store, this wonderfully wacky wardrobe of worldwide sportswear includes signed shirts & jerseys, footwear and collectable caps ... even sport-themed baby clothes! Home of "Uniquely Sporting" Memorabilia videos. View Colin's 30+ books plus our Second Hand titles. The funniest things said about the Olympic Games. 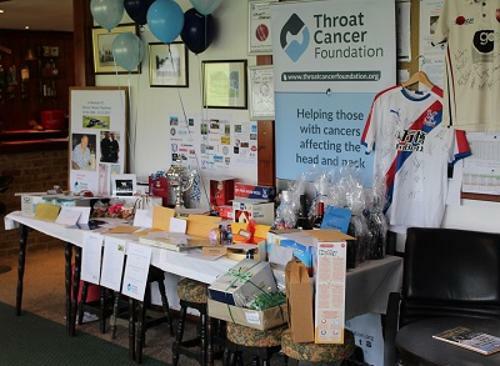 OCT 2018: We provided photography for the Iggy Golf Day at Westerham Golf Club on behalf of Brain Tumour Charity. 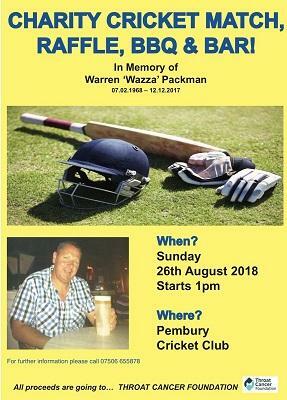 AUG 2018: We provided photography support for the Warren Packman Memorial Throat Cancer Charity Day at Pembury Cricket Club. 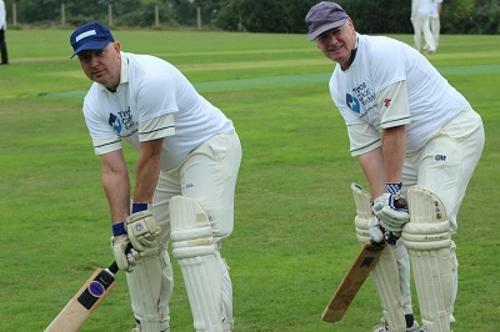 MAY 2018: Proud to offer our photo services for the Box4Kids visit to Kent Cricket at the Spitfire Ground on behalf of the Barrie Wells Trust. 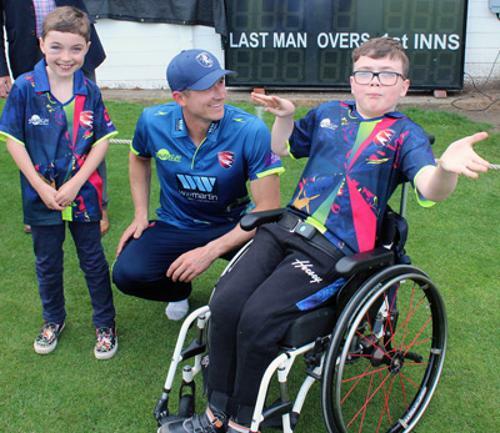 Below: Thomas and Jacob meet Kent all-rounder Joe Denly after he scored 150* and took 4 wickets in the match against Glamorgan. We will be hosting a special quiz night on behalf of Darren Steven's Benefit Year at Kent Cricket's Spitfire Ground in Canterbury. 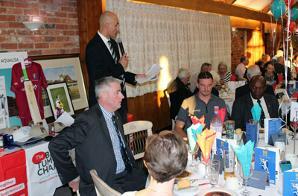 Prizes include KCCC cricket memorabilia. Apr 24-26 2016: Graham Budd Auctions at Sotheby's, . 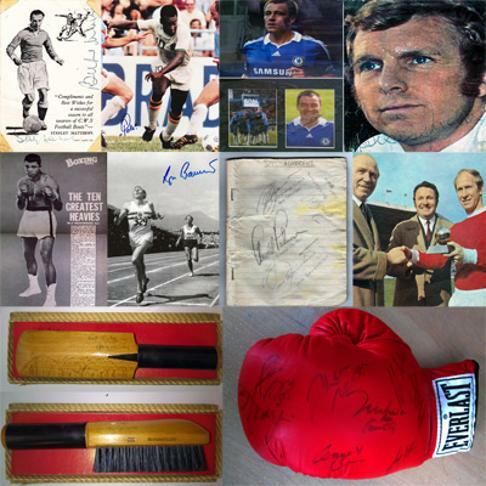 We have ten Sports Memorabilia lots up for auction at this prestigious London auction house. Click here for more details & the online catalogue. 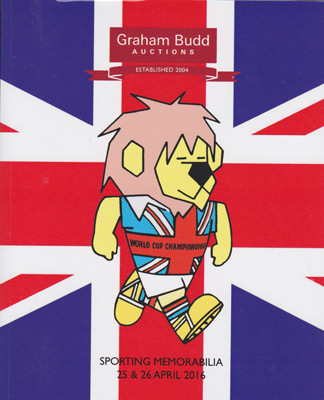 Thu 3 Mar 2016: Dropped off ten more lots for the next Graham Budd Sports Memorabilia Auction at Sotheby's in London, on April 25-26. Signed lots include: Muhammad Ali, Joe Frazier, Bobby Moore, Pele, Roger Bannister, Stanley Matthews, Seve Ballesteros, Arnold Palmer, Bobby Charlton... and John Terry! Plus a Trevor Bailey signed Cricket Bat Clothes Brush...! !